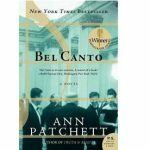 Join writing teacher and book discussion leader Lynn Rosen for a full examination of the work of Ann Patchett, with a particular focus on her new novel, Commonwealth. including her non-fiction: the memoir Truth & Beauty and her essay collection, This is the Story of a Happy Marriage. This summer I had the opportunity to speak with Ann when I interviewed her for a article for Poets & Writers magazine about authors who open bookstores (the story will be published in the September/October issue). I was thrilled (but not surprised!) to find her to be warm, engaging, and a lively conversationalist. The Master Class concept, used often in music and the arts, is something I have long wanted to explore in studying literature by creating a one-time intensive workshop in which I lead participants in an exploration of the body of work of one author. 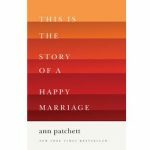 I’m thrilled to host my first Master Class and to focus on the work of this important contemporary American author, Ann Patchett. The Master Class is designed to be like a college lecture class. 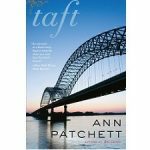 The first hour of the class will be a lecture presentation by me dedicated to an overview of Patchett’s work, including a look at each of her books. Questions and comments from participants will be welcomed and encouraged. 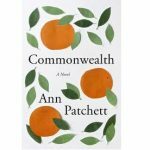 The second part of the class will be an in-depth discussion of one Patchett book: her new novel, Commonwealth, which will be published on September 13th. Do you have homework to do before the class? Nothing too strenuous! I encourage you to read Commonwealth, and to read as many of her other books as you wish, but this reading is not required in order to attend and enjoy the Master Class. Note that as part of the cost of the class, you receive a discount on your purchase of Commonwealth from Open Book Bookstore. 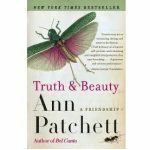 Ann Patchett will be appearing at the Free Library of Philadelphia on October 6th at 7:30pm along with author Jacqueline Woodson. I have reserved a block of 15 tickets for this event at the cost of $15 per ticket. This is a separate event and a separate charge from the Master Class. Tickets are available first-come, first-served.  Please email me at lynn@openbookphilly.com if you wish to join me at the Free Library on October 6th.